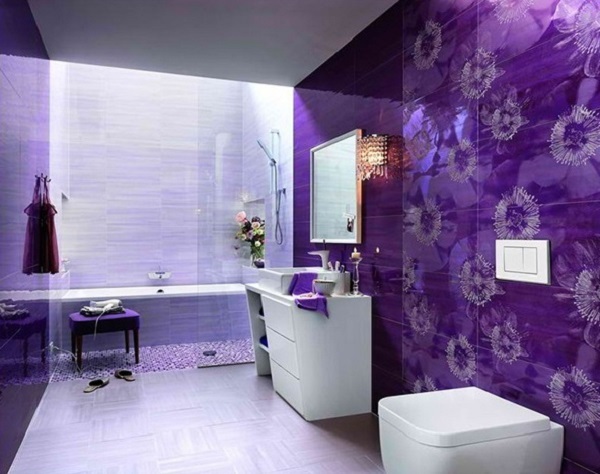 Bathroom is one of the most utilized places in a home and also it is used for the important works. 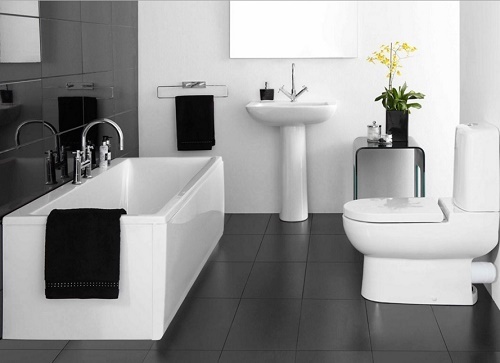 Bathroom helps the dwellers of the home to remain sanitized and clean. Earlier the bathrooms were not given that amount of attention as they were thought of to be a place for dumping human excreta. But with the changing times the use of bathroom has also changed to a great extent. Bathroom is not only used for sanitization purposes but also for many other purposes. The amount of attention the bathrooms are given today is commendable and it its good also because after all it’s the first place you go to after waking up in the morning. 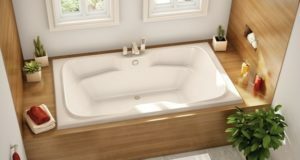 Thus a bathroom should be so designed that every time you enter it, you should feel good because the first thought of the day run your complete day. 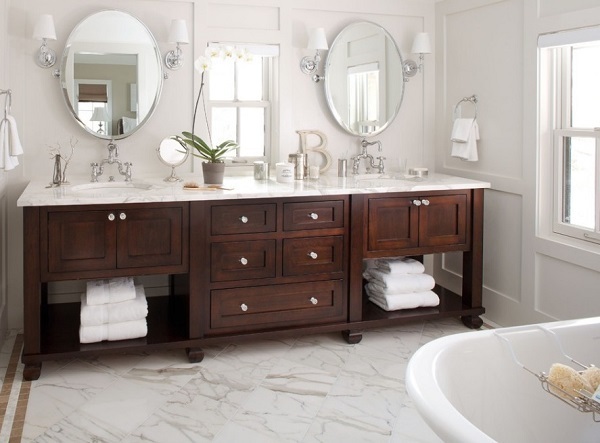 To make your bathroom look good here are some tips that are sure to come in handy. Well people would say that its only a bathroom paint it with any color. But a place as important as a bathroom should be painted right. Avoid using dark colors as they give you a sense of negativity and also make the room feel smaller and make it feel dull. Using bright colors not only makes the environment lighter but also it gives a sense of positivity every time you enter the room and also it makes the room feel airier and big. Choosing the right accessories is very important so be sure to keep in mind all the stuff that you use on a daily basis and then opt for accessories. Do not use too much of cabinets after all it’s a bathroom not a store room. Use one single cabinet and try and integrate with a mirror. There should be ample of cloth hanging points and also there should be a towel hanger just beside the sink. 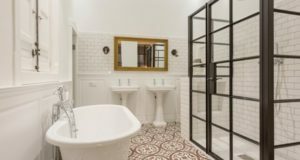 If you have a small bathroom space then it very important to design it in a smart way. To accommodate both, toilet and bathing place be sure to use a separator between them. A simple curtain would do, but you can also have a look at shower booths that are small and easy to place in a bathroom and also give a modern look to your bathroom. Be sure to invest in flooring because the floor of a bathroom always has water on it so it should not be slippery. Using a marble will be a very good option as it does not get slippery, avoid using tiles for floor as they tend to be very slippery. Walls should be covered with tiles till your height as they help in protecting the walls against water and also cover up the fittings and make bathroom look clean. By fittings it is meant the placements of taps and showers. The fittings that you use should be lasting and durable because they ask for a good investment and also cannot be changed easily. So decide the fittings last. Their color should be complimenting the rest of the bathroom and also they should be places aptly. Fittings made of stainless steel usually are very durable and lasting. 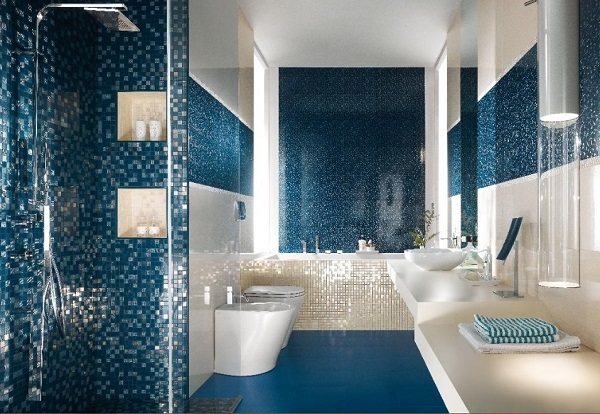 What do you think these ideas for decorating bathroom? Do you like them? If yes, then share your views with us in comment section.